Nature provides an immune defense network, but your immune system is challenged by normal physical and mental stress, as well as aging. Colostrum Plus with Immulox boosts immune factors with additional Proline-Rich Polypeptides (PRPs) which serve as an immune system stabilizer. 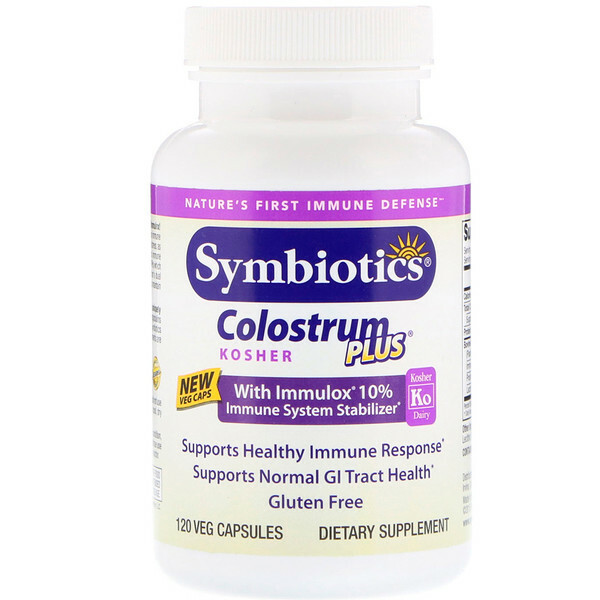 Colostrum's dual action - in the bloodstream and in the GI tract, helps maintain healthy intestinal flora in a normal GI tract. Quality and Purity Assured. Exclusively from USDA Grade A dairies. Only from first milking. Laboratory tested and verified free from pesticides, antibiotics and rBHT hormones. Each bottle is double sealed for quality and safety. If either seal is broken or missing, do not use. 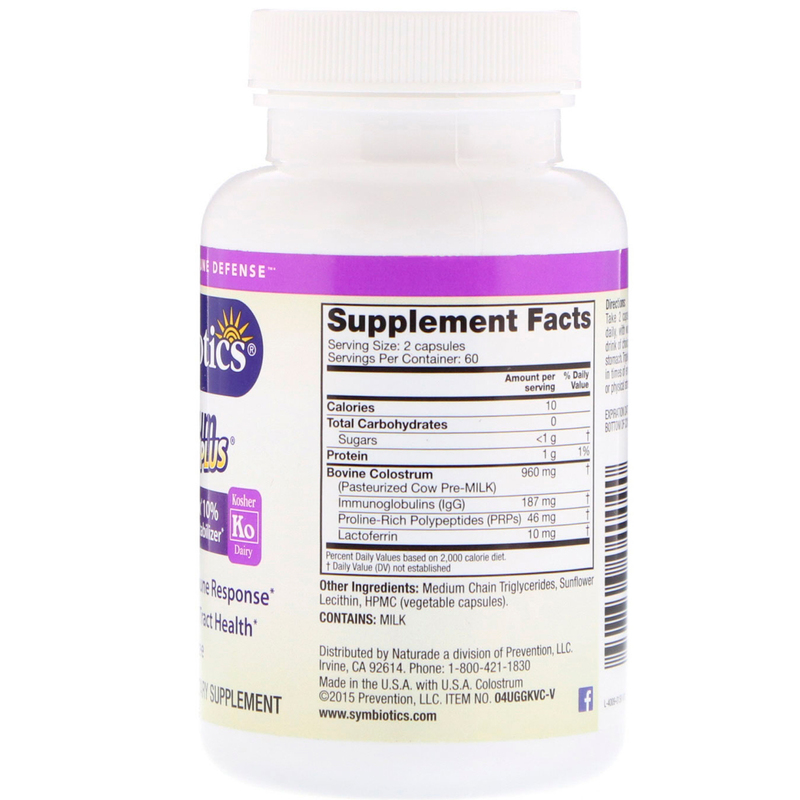 Medium chain triglycerides, sunflower lecithin, HPMC (vegetarian capsules). Close tightly and store in cool, dry place (below 75°F), away from heat.